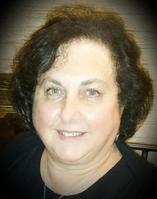 Dottie Swajian is Temple Sinai's Office Manager and Administrator. She came to Temple Sinai in 1999, bringing her experience in civil administration. Dottie is the warm and friendly presence that greets everyone when they first enter our building. She is the person to talk to about your financial commitment to the Temple, donations, scheduling, building maintenance and budgeting. ﻿Raymond Buttero﻿ is Temple Sinai's keyboard accompanist. He holds both a Bachelor’s and Master’s Degree from the New England Conservatory of Music and also has studied at the Julliard School of Music. He is currently on the faculty of the University of Rhode Island, and serves as the assistant conductor for the Swanhurst Chorus, the Litchfield County Choral Union and the Greater Tiverton Community Chorus. In addition to being a noted area recitalist and accompanist, he has given numerous solo performances both in the United States and abroad, including appearances at Jordan Hall, Boston; Carnegie Recital Hall, NYC; Academia Olga Levi, Venice, Italy. Margot Ucci is Temple Sinai's Religious School Administrative Assistant.